Effective Communication Strategy - Internal Comms. Fuel your business and internal teams to communicate like never before. Break free from email chains and make your internal communications more efficient and effective with Communifire. Enhance clarity and unity throughout your organization with Communifire. Are you relying on outmoded methods of communication, like email and memos? Is your communication infrastructure adequate for your company's needs? If you find that reaching others, sharing information, and fostering collaboration is becoming more difficult, resolve to implement communication solutions that actually work. With Communifire's enterprise-level internal communications software, developing an effective communication strategy doesn't take years -- it's instant. By designating a single, cloud-based platform as your company's communication hub, you provide both internal and external stakeholders with a user-friendly environment in which to collaborate. Avoid painstaking email searches, listening to endless voice mail messages, and hunting for the latest memo when all channels of communication are funneled through Communifire. 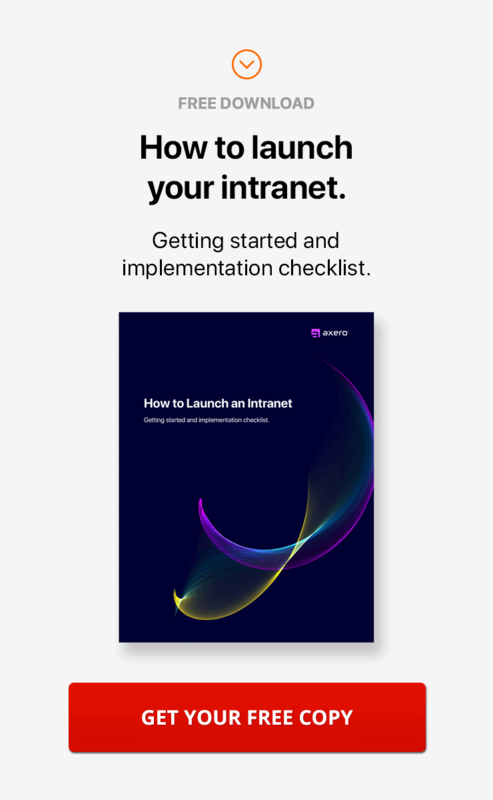 When using a social intranet to manage internal files, data, and conversations, your employees have more time to focus on important tasks. Learn how Communifire becomes the cornerstone of your business' communication strategy. Use familiar social features, such as #hashtags, @mentions, and Likes, to link conversations to one another, invite important people to chime in, and show support for an idea. By launching methods of communication that eliminate time and location constraints, the flow of discussion remains intact. Establish customizable work stations for individuals, teams, or entire departments within Communifire's platform to segment initiatives and improve work flow. An essential aspect of an effective communication strategy, keeping everyone focused on project goals enhances productivity and collaboration. Choose a communication tool that enables seamless internal and external conversations. With Communifire, you can create, update, and publish customer-facing web pages, discussion forums, and information hubs. Publish videos or photo albums to clearly communicate everything from new employee training material to project specifications. Invite individuals to view, share, and comment on media files published in the social platform to encourage conversation. Rally team membes around a concept using the Ideation tool, which provides a virtual environment in which to brainstorm products, campaigns, and more. Invite others to join in the conversation, offer feedback, and approve ideas before moving forward with a project. Inspire your workforce with a sense of pride and purpose using cloud-based social recognition. Distribute accolades, announce awards, and give a virtual pat on the back to team members who deserve praise with the Announcements feature. Give administrative departments and managers the tools needed to respond instantly to any issues that arise with an effective communication strategy. As your business expands, eliminate the possibility of your team members feeling neglected by bridging the gap between leadership and employees.